SIze: 14cm X 11cm. 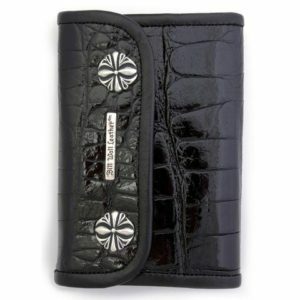 Medium wallet for large currency in shiny alligator leather. 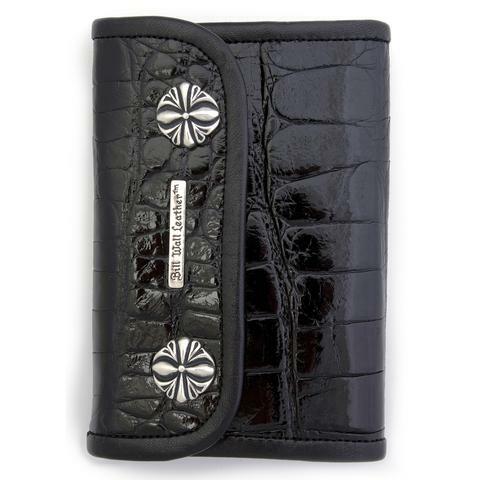 All BWL Malibu™ Wallets are custom-made to order using premium leathers, exotic skin inlays, and sterling silver hardware. Limited edition models may be discontinued without notice.